Apologies again for my trouble, I keep getting "errorCloseThe uploaded file exceeds the upload_max_filesize directive in php.ini.".. I have gone to my php.ini file to increase tjhe upload limit and restarted my server and still can't upload. Am sorry for troubling you. Remember that max_post_size has to be larger than upload_max_filesize. Also, if you're using a server like nginx there might be some config option for the max size to the request body. I managed to change the php.ini. in the apache2, the problem was that I was changing the php.ini in cli. Thanks. I was abe to do the upload and didn'd work. 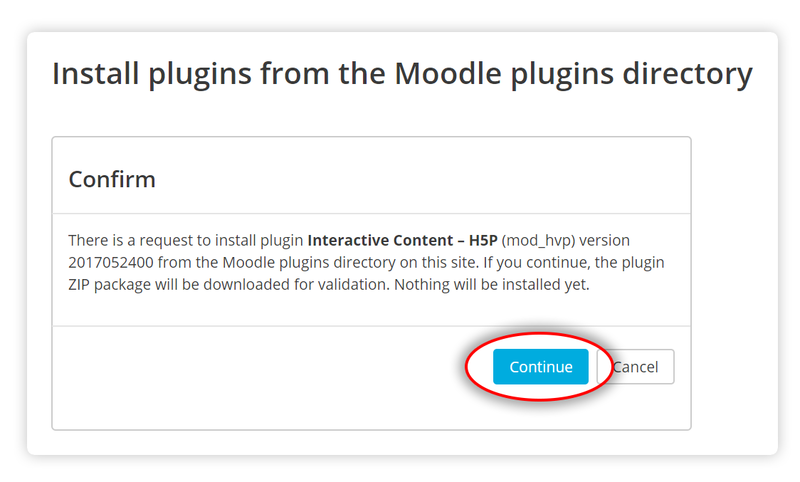 So I decided to go through the install plugin from moodle directory and I get this error :"
"There is a request to install plugin Interactive Content – H5P (mod_hvp) version 2016113000 from the Moodle plugins directory on this site. However, the plugin installation pre-check failed (reason code: remoteunavailable)." That is strange. Did you try to reinstall the plugin? As long as PHP doesn't have access to remote sites(/internet access) it cannot download the content types automatically when the plugin is installed. 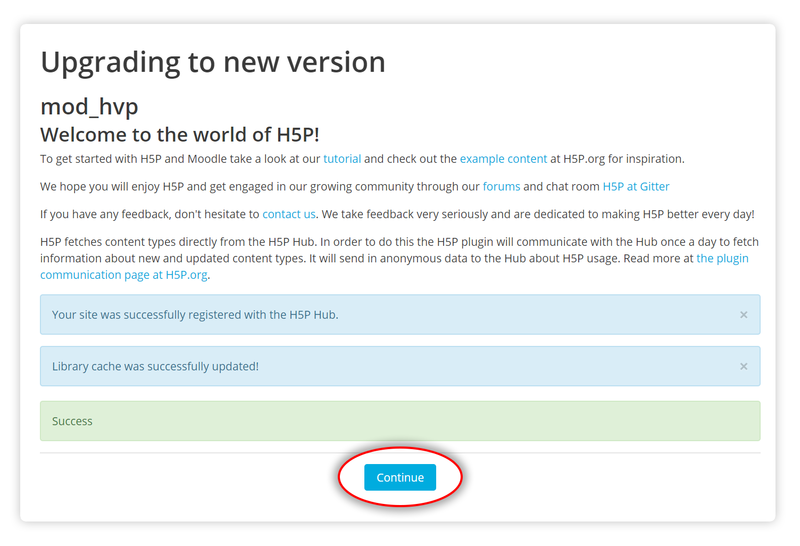 This means that the admin will have to download the content types from h5p.org and then uploaded them manually to their site, through the upload form on the Libraries Managment page. you are a star!!!!. I turned the debuging on as you advised and it turns out that my server is missing php mbstring which I installed and.....BAM it works!!! Thannks once again. That's great, I'm really glad that you got it working! I have tested the H5P plugin in a Moodle 3.1 sandbox with success. However, m colleagues and I felt that some of the options should not be made available to out faculty. I tried using the "Restrict" checkbox next to the libraries I want to hide but it doesn't have an effect. The options for a new H5P content type remain the same. 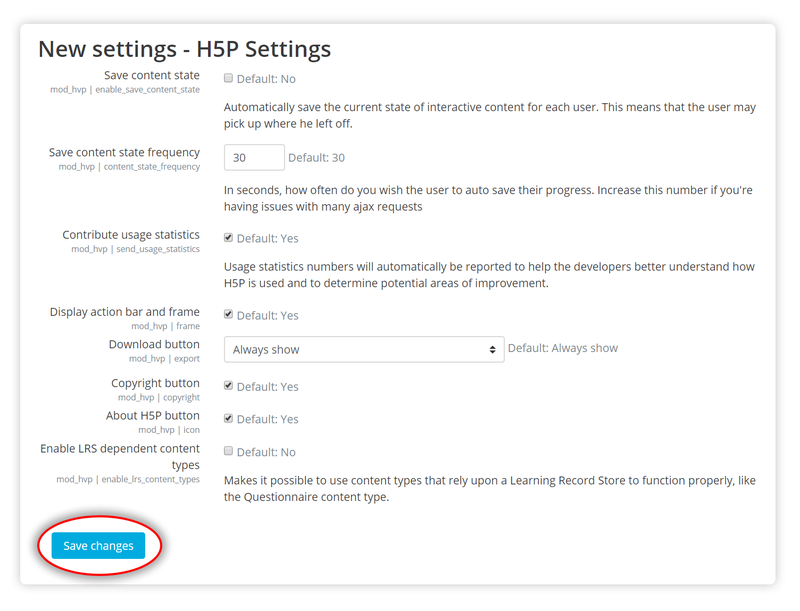 What can I do to control which of the H5P content types can be displayed for faculty? I have searched in the documentation and online and could not find an answer. Hi! I don't think this is very well documented, so no wonder you didn't find it. Actually, the 'restricted' content types can still be used if you have the permission 'mod/hvp:userestrictedlibraries'. By default, managers have this permission but not teachers. You should be able to see who have access at the /admin/tool/capability/index.php page and then revoke the permission using the Define roles page. I hope this helps to achieve what you need. Let me know if you have any further questions. Restricting H5P libraries in Moodle - Success! Select the checkboxes next to the libraries you wish to restrict. No need to save. This is updated through AJAX, apparently. Select the gear icon on the far right for Teachers so you can edit their capabilities. (Or whoever's role you want to restrict). Scroll down to the section labeled "Activty: H5P", then look for the capability labeled "Use restricted H5P libraries". Uncheck the checkbox, if it is not already unchecked. There are LOTS of items in this list, so try using your browser's search function. Scroll to the bottom and Save. AJAX is NOT being used in this panel! Log in to a course as a Teacher and add a new H5P activity. Check in the settings to see if the libraries you have restricted are listed. They should not appear in the list. Note that you MUST log in with an account that is ONLY a Teacher, and not a system admin or Manager (not just an admin enrolled as a Teacher in the course you are in). Otherwise, you will see things in the list that a "pure" Teacher would not. Do your test with a demo teacher account to be sure the list of libraries is authentic. Hi I've created a course that I would like to replicate, but when I try to import the h5p activity it doesn't work. I've also tried backing up the original, downloading it, and importing it and that doesn't work. The h5p activity is just blank... I have multiple classes that will be using the same course and don't want to have to recreate it for every class. Do you know how I would be able to take a moodle course that has a single h5p activity and easily duplicate it into other courses? Any help is appreciated. I think someone else is experiencing the same problems as you. It would be good if we can contrinue the disscussion in this forum post. I haven't noticed this previously (as I had flash enabled) but I've disabled flash in my browser today and noticed a notification that H5P uses flash - at least in the presentation activity. Can a helpful member of your team tell me why flash is appearing in the editor and why? Is it required? will any harm occur if flash is disabled when editing? Many Thanks and great work with the recent UI improvements. The video library uses flash as a fallback if your browser does not support HTML5. I do believe that the downloadify library, which is required for downloading text files also uses flash. It should only kick in if you have defined exportable text areas and try to export them at the end of the presentation. These are the exceptions to the rule, you should be able to use H5P perfectly fine without flash. Could you tell me some more about when you get the notification from flash ? What browser are you using, and what content do you have inside your H5P ? What actions are you performing when you get the message ? I am using course presentation activity. Simply going into 'edit' mode triggers the flash warnings, regardless of existing content or creating new content. I'm using FireFox 50.1.0 browser, with flash plugin switched to 'notify'. I've also tried editing a course preentation on the H5P site and I get the same warning. I also get the warning for Wordpress and Moodle. I don't think it's an issue based on what you've told me, thank you. I have customised some javascipt and css using the "H5P Mods" additional plugin for wordpress. I have now migrated my H5P contents to Moodle and require the same features I have provided by the H5P Mods to include my js + css. So my question is this - Is there a H5P Mods available for moodle or something similar? Many thanks for any help guys! Hi,There is no "H5P Mods"
There is no "H5P Mods"/hooks available for Moodle yet, however they are a focus and should be available at the next release. You can follow along the issue at https://h5ptechnology.atlassian.net/browse/HFP-556 and there is an open pull request existing for it already at: https://github.com/h5p/h5p-moodle-plugin/pull/133. Thanks for the reply, this really helps - it appears h5p mods for moodle is very close to being release / completed. It's great to see such quick progress, I'll keep a very close eye on this. H5P / Moodle Scoring enhancements? We've integrated H5P into our mood instance and the one thing I note is that scoring is a little wonky. It would be great if we could add point values to the specific words, creating higher value questions and higher value answers. So maybe we could do This is a *sentence*:a collection of words#2 to indicate that the item is worth 2 points instead of one? Just a thought. Thanks for your feedback. I saw that you had added this as a feature request too. Very good, that's where this will get noticed! we love h5p content in our moodle as it looks and works much nicer then moodle core functions. As moodle has its own mobile app we checked how h5p content looks like on mobile, however the app does not show it, only a link to open moodle in a mobile browser. Do you hav any plan to make h5p available on moodle mobile client? I'm also curious about the Moodle Mobile App and compatibility with H5P activities. IT would make the whole experience much better as some of my courses are now almost entirely built using H5P activities. Hi, Moodle Mobile is in the pipeline (https://h5ptechnology.atlassian.net/browse/HFP-252) for things to work on, but has not gotten priority yet. We would love pull requests for this to speed it up though, if you add it to the "feature request" forum there is a much higher likelihood that this will get worked on faster. I submited a feature request. Please keep me updated on this! Hi everyone, do you know if it's possible using the H5P tools also in Totara (= business solution of Moodle)? The second question would be: is it possible to really use the data users are putting into a H5P tool (e.g. in a survey) and to forward this data to other activities? 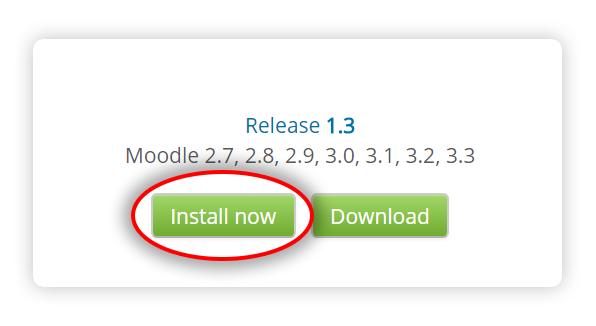 Or what is the real added value of the Moodle Plugin? I don't know that anyone has tested it in Totara, but seeing as it's built on Moodle I don't see any reason why it shouldn't work. Almost all of the H5P content types provide xAPI statements whenever the user does something. Meaning that a system that uses H5P can use these statements for whatever they like. By default, Moodle only adds the result to the Gradebook, but in theory, they can be used for anything. I know that it's popular to use an LRS to collect all of these statements and then analyze them – making it fully possible to use H5P as a survey tool. 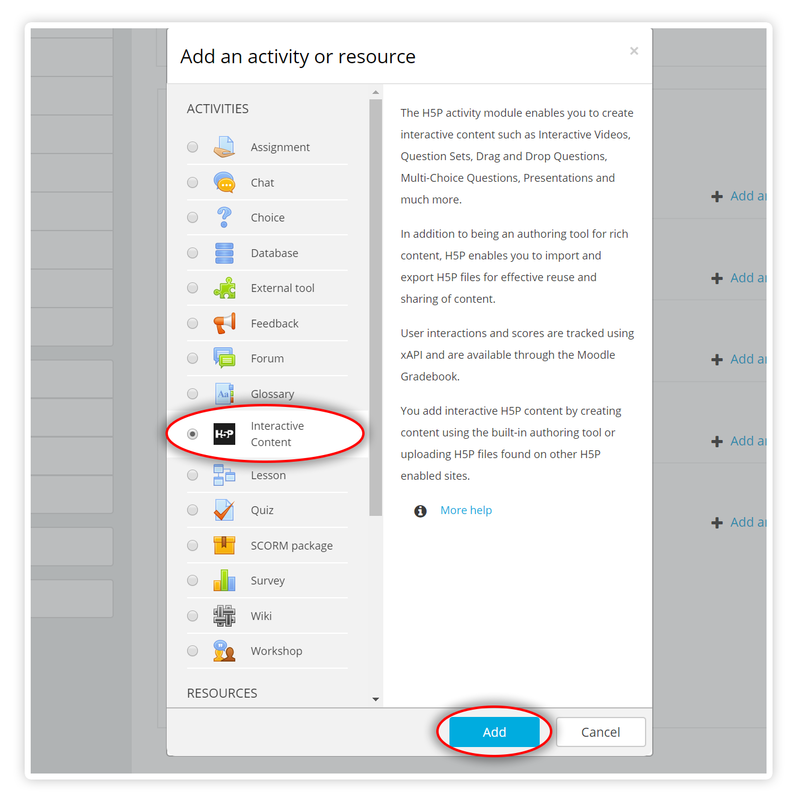 Acitivity Completion and restricted access to activity missing? 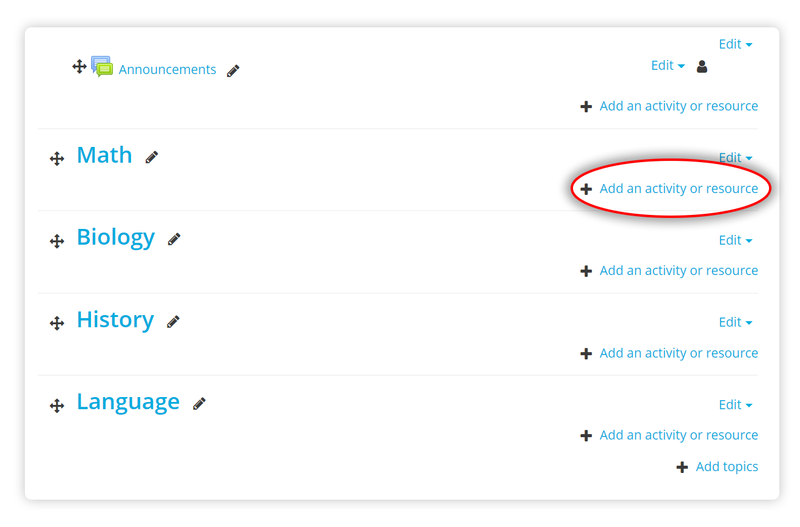 Looking at your tutorial, I can see that there is no activity tracking which is required to set up course completions. How would this then work with H5P activities? Hi, there should be support for activity completion in most H5P content types, through either viewing the activity, getting a grade for the activity or making the student mark the activity as completed. in the last part of the installation we get this error. i could not find anything on google regarding that. Hi, there seem to be two problems. The first one is that you are not able to register your site with H5P.org, which is necessary in order to make the H5P Hub work for communication purposes. The second is that the code expects that you are in an AJAX, so it tries to return headers, but you are not. There are many things that could cause the first issue, make sure that your server is allowed to communicate with external APIs. I have created an issue in the H5P public issue tracker for the second problem, which must be fixed in code. i will re check the issue of connectivity. Hi, did you find a solution to your connectivity problems ? I also wanted to ask if the installation completely fails when you get this error, or if the H5P plugin still gets installed, you just get some warnings ? 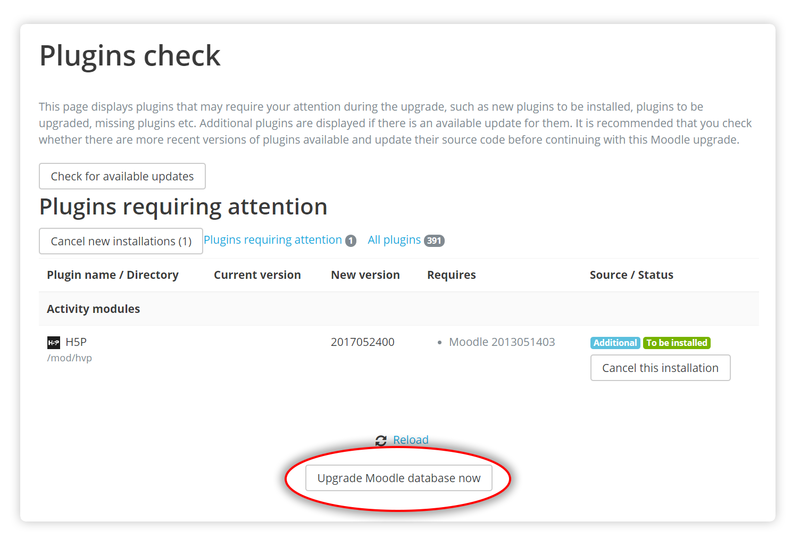 The issue regarding your PHP errors has been fixed on github, and will be available with the next release of the Moodle plugin. I've been allowed test access to our Moodle environment. I can embed video (MP4) in said Moodle environment and when I link the video to HP5.org, allowing me to upload the video here to HP5's environment and create an interactive video, for testing purposes (I am still waiting on our side administrators to download/install the HP5 plugin to Moodle). However, when I try and share the link of my complete work to my colleagues, the video claims its file type is no longer supported. That makes zero sense, as I was not only watching that very video here on HP5, but adding interactivity to it. 1. You are probably logged into Moodle and the file is only accessible to you. Try testing the video in another browser where you are not logged in. 2. It could be that they're in an environment that doesn't support mp4 – for this reason, you should always have two different video formats. 3. It's called H5P, not HP5. Does the h5p plugin also work with the MoodleCloud? We want to create a free account to test the analysis of the results. Hi, I just tried to set up a free account, and the H5P plugin is not there by default, and you can not install it yourself out of the box. It does not seem like it is part of their paid accounts or the extra plugin pack either, but you should contact MoodleCloud and ask them yourself, I'd be surprised if they can't set up the plugin for you. Installed H5P Interactive video. When using in Chrome, with the appear.in extension installed, the link to the webinar still won't open. What could be the issue? (I get the 'enter room' button but nothing happens when I click on it. I have tried it both in out secure company environment as outside. appear.in is shutting down 3rd party integrations, so we are considering how best to proceed with the content type. You can read more about it here on the forum. Is there anything we should install to make it work, use another browser from Chrome or what's the best way to go? Is there anything that can be done within the plugin? My concern is that we don't want to have to tell all our clients that they should install a certain extention to fix it. I'm sorry but Appear.in is removing their embed option. there isn't much that we can do as 3rd-party developer. There are no replacements yet on the road map but don't despair we know that this is a very helpful content. I won't rule out a content similar to this in the future. Just a quick question. 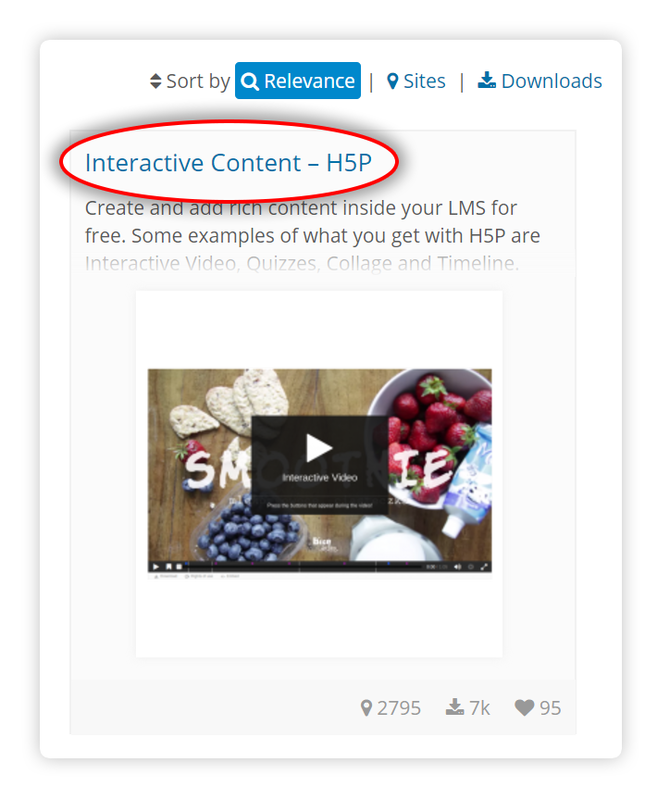 When using H5P plugin on Moodle, are H5P activity files + their content (videos, images etc.) saved/located only in Moodle server - not in H5P server?